Most Windows users find that Windows Vista's Graphical user interface (GUI) looks more stylish, pleasant to the eye, cooler, etc compared to the previous GUI in Windows XP. For they who still keep their WinXP OS because of 'any reasons', choose not to upgrade to vista ~ prefer tweaking windows, some of them may want to change the look and feel of many parts of Windows XP to Windows Vista. Go on reading, if you're one of them. One of my favorite GUI is Vista's Windows Glass, the semitransparent, colored window edges that Windows Aero has. Its 'glossy' and 'wet' Vista Orb effects are able to keep my eyes staying 'fresh' :). Yeah, This GUI is now already widely used and 'becomes standard' for web design a.k.a "Web 2.0" in blogosphere. Actually there're many programs that can help you to modify your WinXP appearance till it looks like Vista. One of them that runs great is WindowBlinds. This program lets you modify toolbar icons, the Start Menu and Start button, menu and dialog borders, the taskbar and title bar with many cool skins--visual styles and themes. 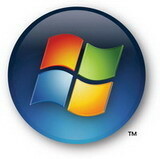 + Windows 2000/ME/98 users can use WindowBlinds Classic (v4.6). + License: Shareware (Free), Enhanced, Bundle, and Extreme (costs you $$). In case you're interested in this app, More information about WindowBlinds is available from the official website here. 2 comments on "How to Transform Windows XP Skins-Visual-Styles-Themes to Vista with WindowBlinds"